newpowa has no other items for sale. Sales tax may apply when shipping to: IA*, MN*, NV (8.1%), WA*. Great vendor, will do business again. 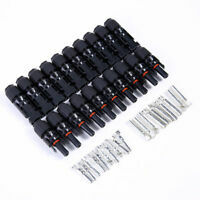 Fast shipping great quality product will buy again!!! Less than expected output .Seller no help. 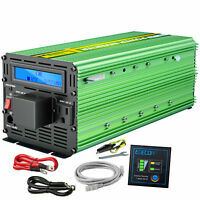 Works mint, set it up facing the southern sky, add your solar controller, battery bank and inverter. It provides a base of electric. You can keep adding panels to increase the amount of energy. It's addicting free electric, I added wind turbines to top off the battery banks. 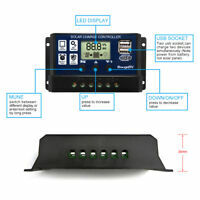 The NewPowa 100 watt panels that I have bought have worked great they actually deliver more power then you think . Voltage is their along with the amps . 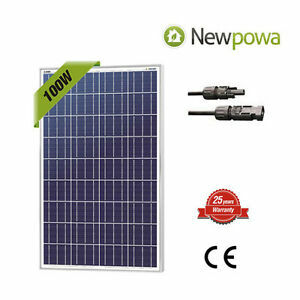 I will buy more of the NewPowa 100 watt solar panels . Hope this helps other people when they are looking at solar panels . It works great. I measured the amperage output. On a sunny day in the middle of summer (I doubt the season matters) it puts out more than 100 watts. I was impressed by this panel.It is substantial, strong framed and when tested was producing very well. If I expand my solar I will definitely pick up another . Seems to make power as described. Now if it last for about 10 years with no power loss thats great!